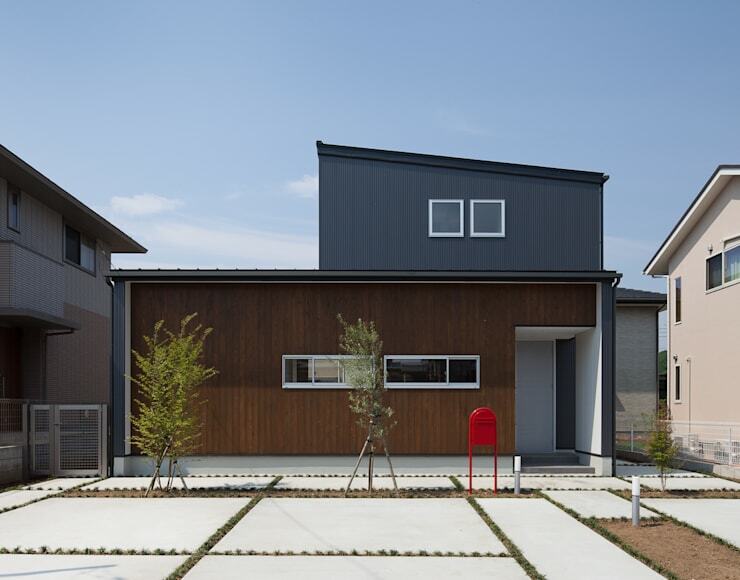 Small houses could be as trendy and beautiful as their larger counterparts. It is possible to decorate a charming home without blowing your budget. It is also possible build a cosy and comfortable home that you could be proud of. 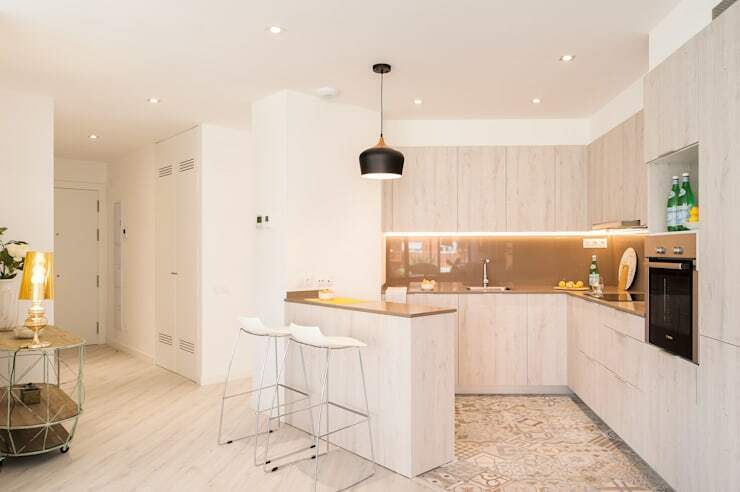 Yes, you need a bit of inspirations here and there to design a beautiful home as close to your dream dwelling as possible. Our today’s post will help you with bountiful of ideas. Don’t throw away all your old stuffs while redecorating your home. You will find many worthy pieces of décor in them. Yes, you will have to use some ingenuous methods to make them useful once again. 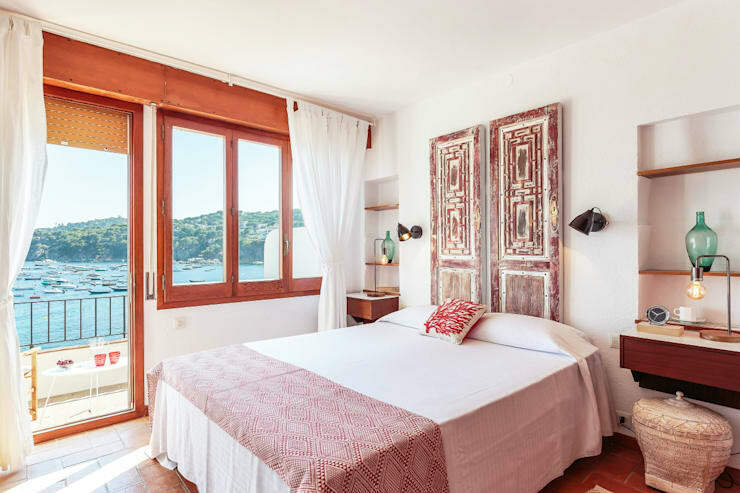 See how the interior designer of this seaside villa recycled old doors as headboards. Can you think of something equally novel? Give a thorough thought about the layout of your small home. 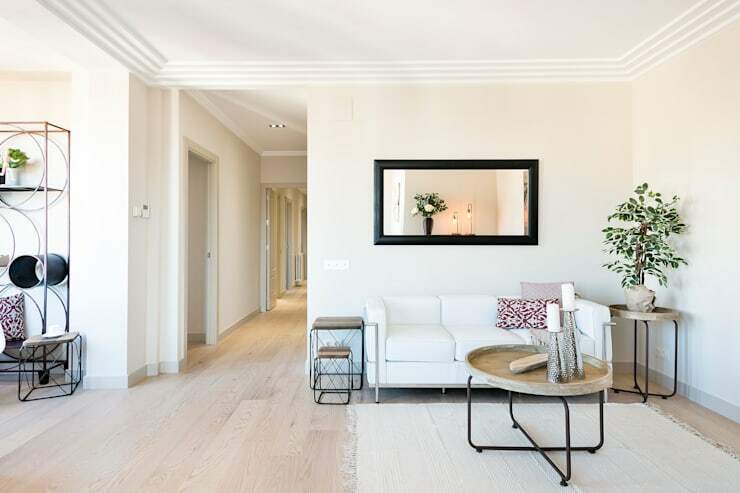 A stylish room must also possess a simple layout and uncluttered look. Don’t clutter your living room with extra sofas and arm chairs if you are not going to use them. Installed a large mirror to brighten up the space and make it look more expansive. Check out these useful tricks to design a small living room. Don’t forget the décor of your hallway, however small it might be. 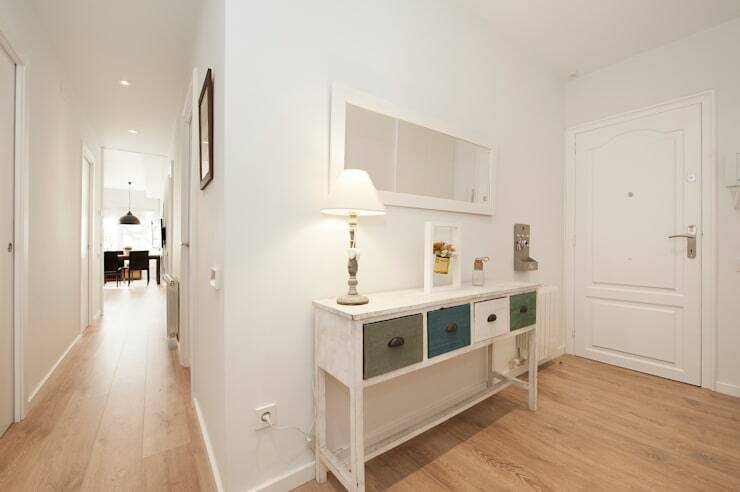 A slim console table has been used to deck up this tiny hallway. A combination of mirror and table lamp keeps this space light filled and cheerful. Spread a small door mat or runner rug in this area to prevent dust and grime from transferring in the interior of your home. Give some thought about the décor of the walls in your living room, bedroom and dining area. There is a variety of ways for stylising the walls. You may use exposed brick, stone or concrete to design the feature wall. Effective use of framed posters and paintings can immediately add character in any part of your home. Don’t exclude the opportunities of installing wall sconces for beautifying the walls. For a more dramatic looking interior, create a contrast between the walls and flooring. 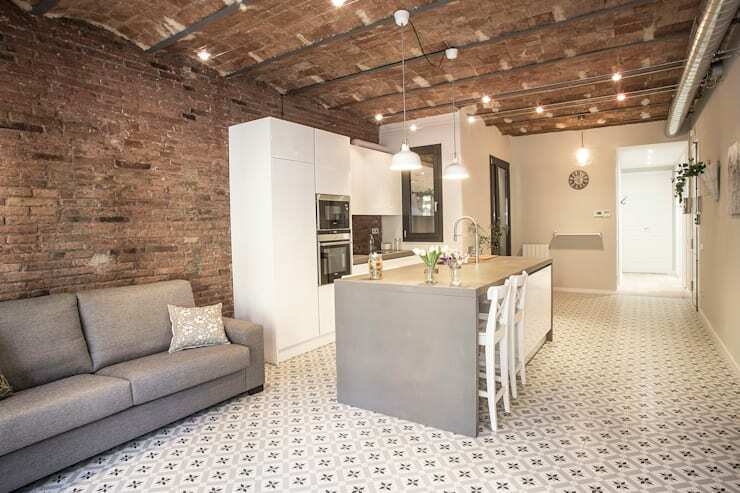 See how the interior of this home is designed with brick walls and tiled flooring. You may also combine other materials like natural wood and stucco while designing a space. Though small and awkwardly shaped the interior of this kitchen is extremely functional. Try to opt for a practical kitchen design. Speak with an expert kitchen planner if you need any kind of assistance while designing a smart kitchen. Choose colours that brighten up the small space when the source of natural light is absent or sparse. Look for unusual storage hacks. This bathroom is not only designed with a spacious vanity cabinet, but is also supplied with a ladder transformed into a shelving system. 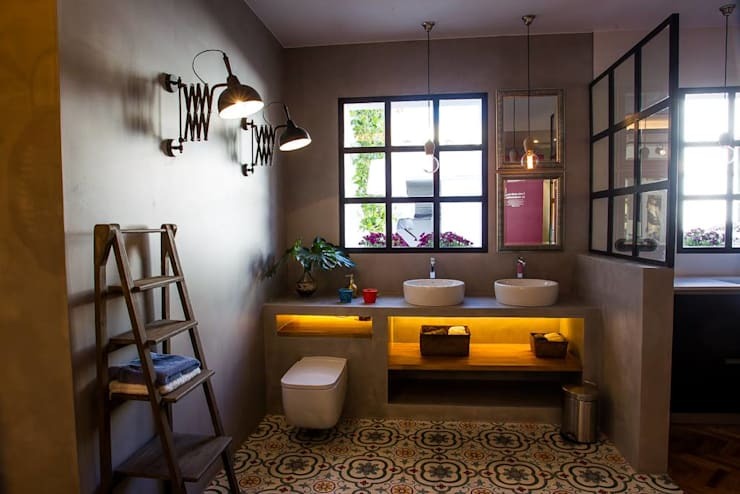 Take note of the dark colour scheme of this bathroom. It is not something that you get to see every day. Make optimal use of the available natural light to make a space like this look brighter. Install sufficient electrical lighting fixtures for the same purpose too. Think of a clean and simple façade design for your small home. Use a combination of materials like brick, stone, solid wood or metal to inject variety in tone and texture. You may opt for an asymmetrical design which is very suitable for contemporary façade designs. Don’t ignore your front garden. It can have a massive impact on the beauty of the façade of your house. Check out the furniture most suitable for small homes. 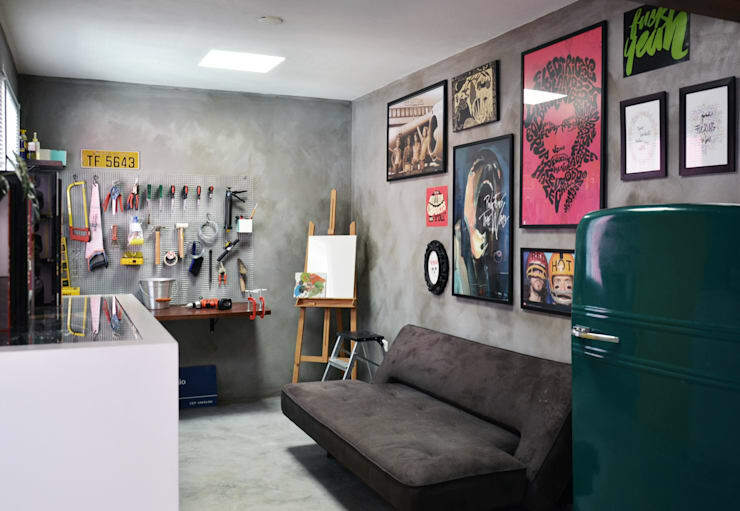 Which of these small home features did you find most attractive?